A great article highlighting the increase in demand for apps and the race between both the IOS app store and Google’s Play store. 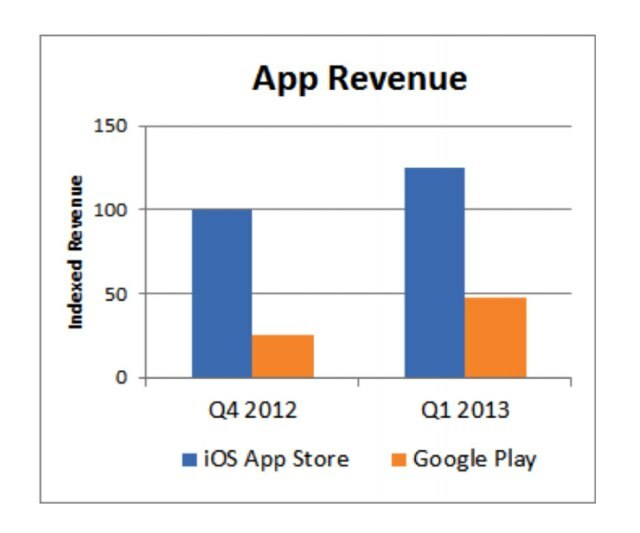 App analytics firm App Annie has maintained the report that iOS App store tops the revenue charts while Google’s Play store has its download rates going higher and higher. Japan, Korea and the U.S are the top countries that made up the highest percentage in the downloads and revenues of apps. There is such great demand in these countries and we could clearly see digital age booming here. China is also no exception to this, in fact they are slowly making up to the 4th in the list. Of course with games making up the majority of the downloads. In the future to come, I see so much potential in apps and how better innovations would spring up to meet the demands while creativity can make the world a better place. 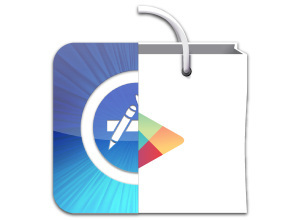 All four app stores make up a figure well over 13.4 billion, and revenue reached $2.2 billion. Thats mad crazy figures!